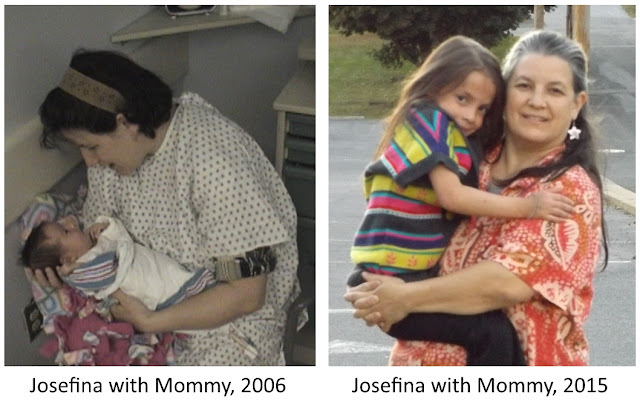 Never Give Up: Nine Years of Josefina! We have come to the end of the beginning of "the Josefina nine year old Birthday celebration." Elsewhere, I have told the story of the seven month odyssey in the NICU and PICU that began on this day in the year 2006 (see, for example, Chapter 22 in this BOOK). 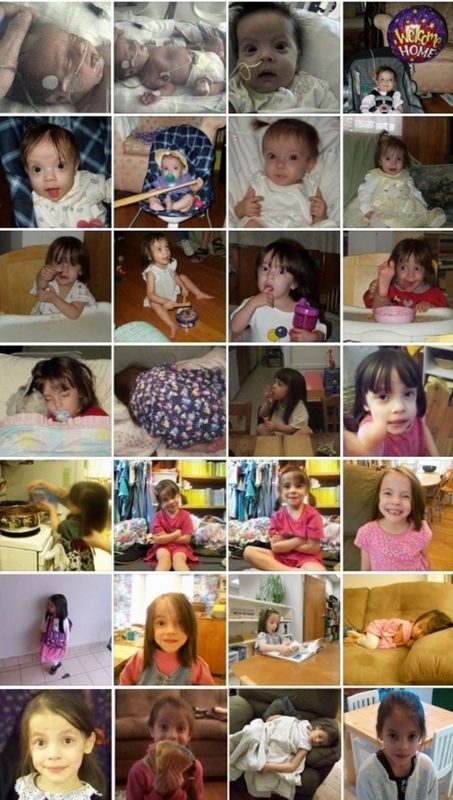 I thought it would be fun to post a big collage of photos from Jojo's life (most of which have been posted before). In the first two rows we see her from birth and first surgery on to homecoming and first year. The next two rows cover Jojo from ages 2-4, and then the following two rows from ages 5-7 and the final row from age 8. Thank you Lord, for her life and for all our children. Bring them all to the fulfillment of their vocations in this world, and may we all be happy forever with You and with one another in eternal life.